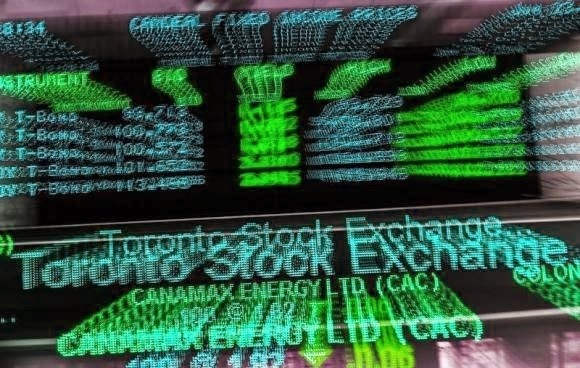 Energy stocks rose 3 per cent on the Toronto Stock Exchange’s main index Friday as early gains took oil prices to their highest for 7 weeks. Prices declined later in the day though with West Texas crude settling just below $33. Supply issues in Iran and Nigeria gave prices a helping hand. Wall Street closed its session mixed with only the Nasdaq gaining despite GDP figures for the fourth quarter showing less of a slowdown, with 1.0 per cent growth rather than the 0.4 per cent many were expecting. Asian and European markets closed higher before the decline in oil prices. Calgary-based Husky Energy reported Friday that it has cut its losses to $69 million for the fourth quarter of 2015 from the $603 million it lost in the same quarter of 2014. The firm is working on an expectation of oil priced at $30 for 2016 and says it aims to sell its Lloydminster assets. US airline Republic Airways Holdings has filed for bankruptcy protection in New York and says that it will cut back by only operating Embraer E170s, which could mean a severe blow for Bombardier’s C Series. Republic placed an order for 40 of the planes which were to be delivered in 2015 but with the delivery delayed until the second half of this year Republic says it has no financing for the order.